An in home butler’s pantry appears to be the new trend in home design. What is a butler’s pantry you might be asking? 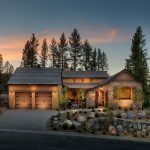 It’s described to be “a utility room [that] allows the host to both prepare and clean up food in an area that’s out of sight to guests,” (Finder). 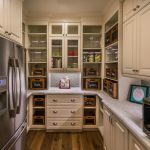 This trendy pantry allows for additional storage, preparation space, and a luxurious upgrade to your home. Typically located between the kitchen and dining rooms, the butler’s pantry has the ideal location while entertaining. Popular additions for an elevated butler’s pantry include an additional sink, dishwasher and/or refrigerator. Beyond the luxury factor that butler’s pantries bring to your home, they’re incredibly functional. For entertaining, wine coolers and built-in coffee makers create a self-serve convenience. A durable build is optimal for such pantries, as they are also convenient clean-up areas. The tucked away design of a butler’s pantry allow for easy staging prior, during, and post entertaining. 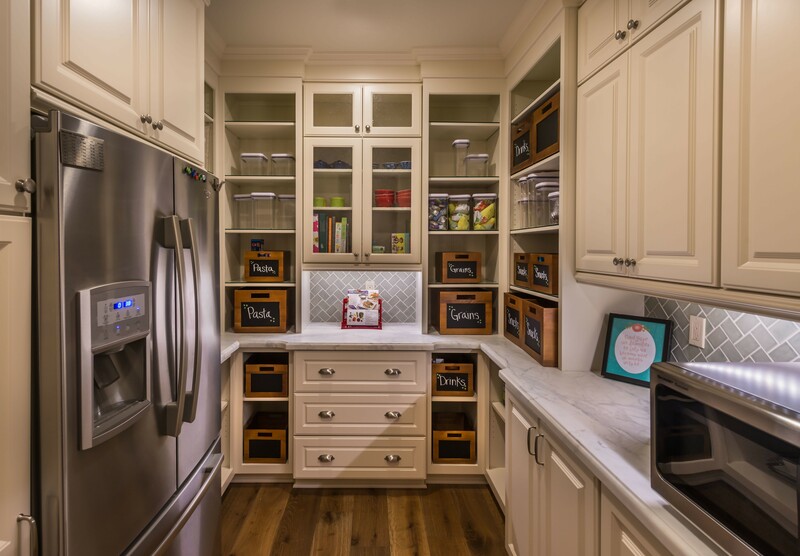 The abundant storage options for a butler’s pantry also allows for easy keeping of nonessential kitchenware. Customization to your Parc Forêt home can be made to feature a butler’s pantry!